Hello to you all. Can you believe that Valentine's is just a few days away? I just don't know where the time goes lately. 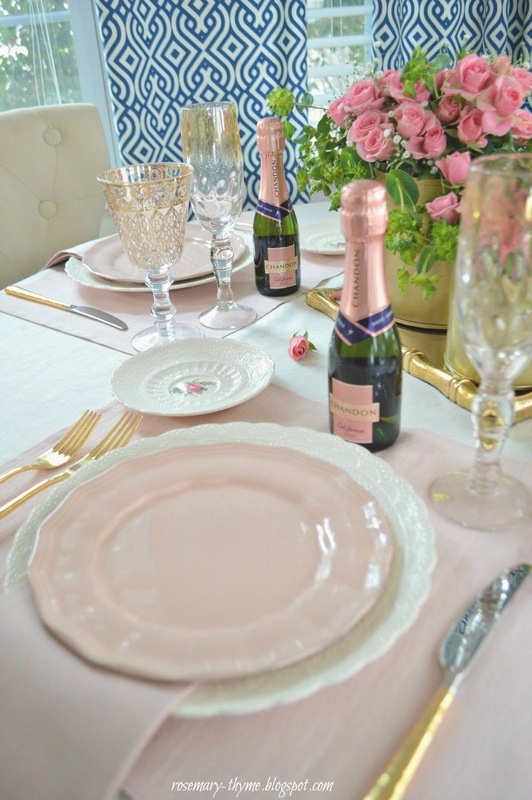 Today, I am excited to share my Blush Pink and Gold Tablescape. This year, I decided to host an early Galentine’s lunch for a few of my favorite girlfriends. I just think it's always nice to appreciate the close friendships that we have. 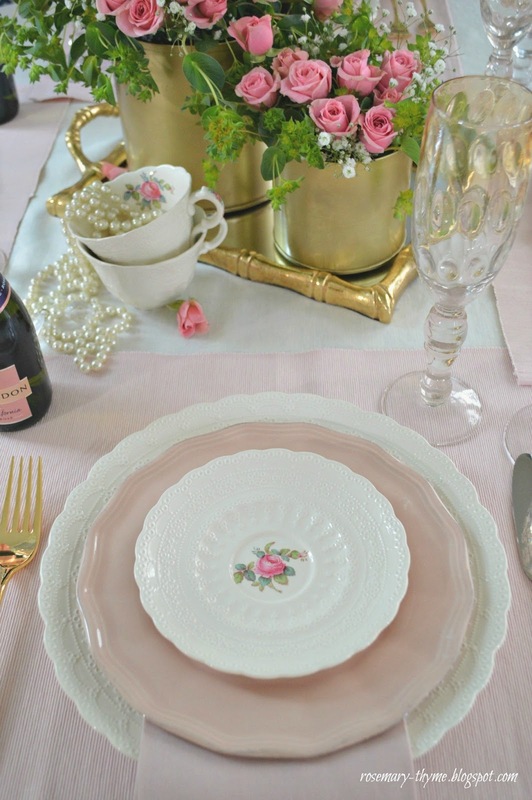 What girlfriend wouldn't enjoy a table set in beautiful soft shades of pink and creamy white. 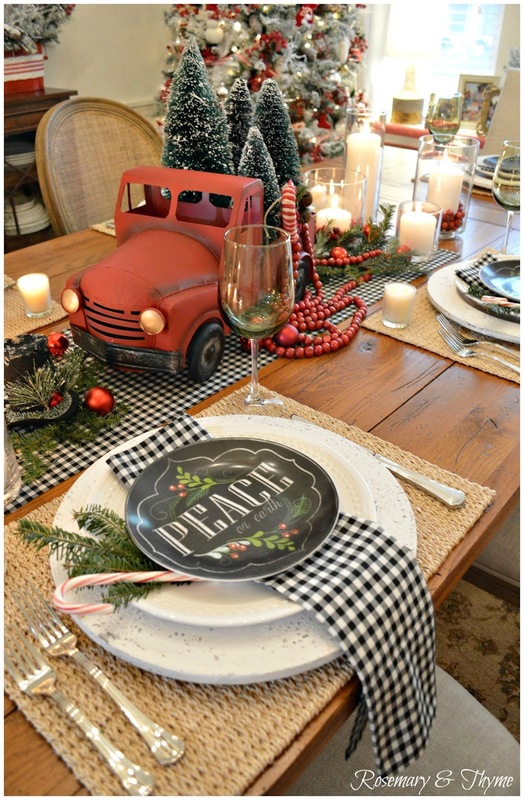 And I I always “hop” at the chance to style a pretty table. For this table, my intention was to create an elegant and inviting table with a vintage vibe which incorporated a few modern pieces to keep it fresh and current. 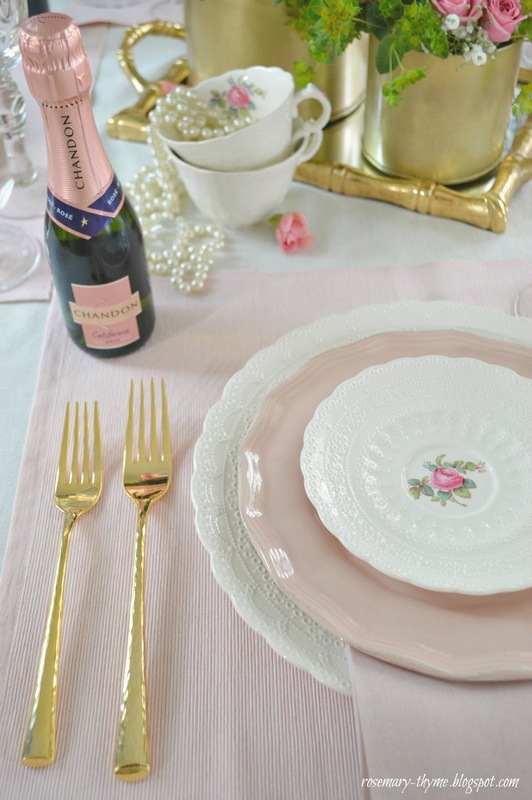 I kept the colors of my table setting soft and feminine. After all, it is a table that will be enjoyed by women and I do love to make my guests feel extra special when they come to our home. A simple cream tablecloth dresses the table while a place mat from Ikea in a soft pink shade begins my place setting. I’m such a fan of Ikea!!! For the dinner plate, I used a vintage pattern called Billingsley Rose by Spode which is one of my favorite patterns of all time. I then added a simple pink salad plate from Pottery Barn which I topped with a butter dish in the same Spode pattern. 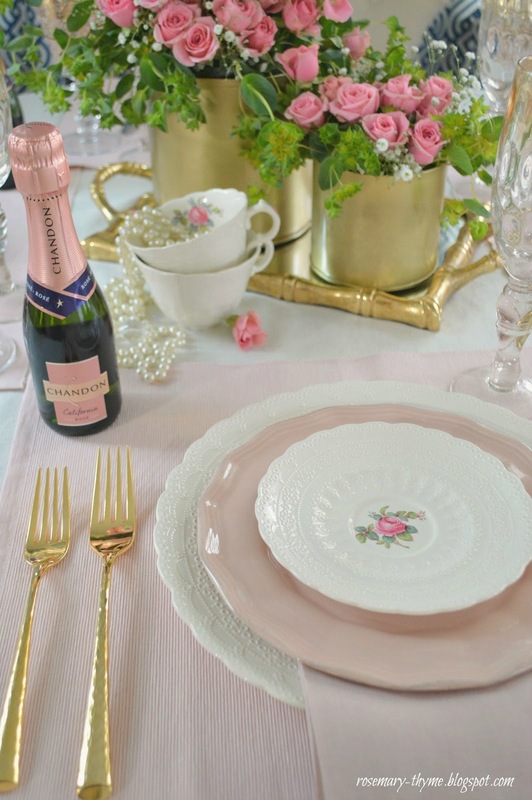 For shimmer and a bit of glam, I used gold flatware by Lenox. For drinkware, a mix of glasses from Anthropologie with plenty of gold touches were added. 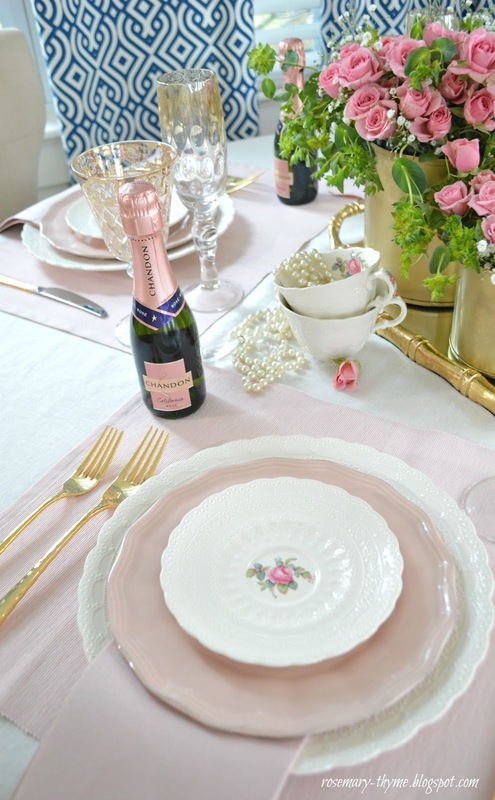 For a special treat, I placed a mini Chandon Rose bottle at each place setting. I just had to add these to my table!! The bottles were so adorable and they match my theme perfectly. 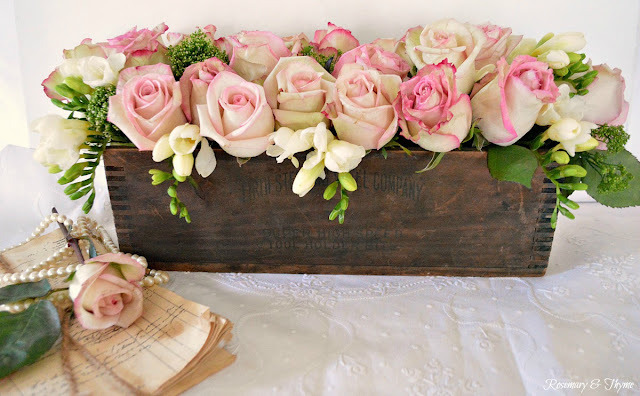 I am a firm believer that flowers are key when styling a table. They play an important role in the overall feel of a table. 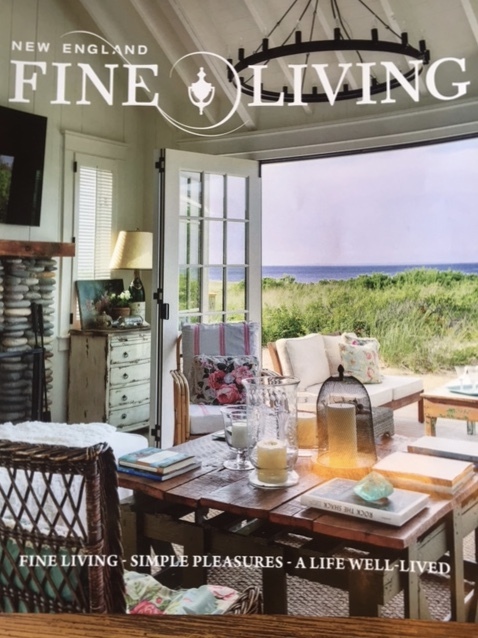 So when styling your table, remember to keep into account all the ways a well-designed floral arrangement can contribute to the finished look of your dining table. 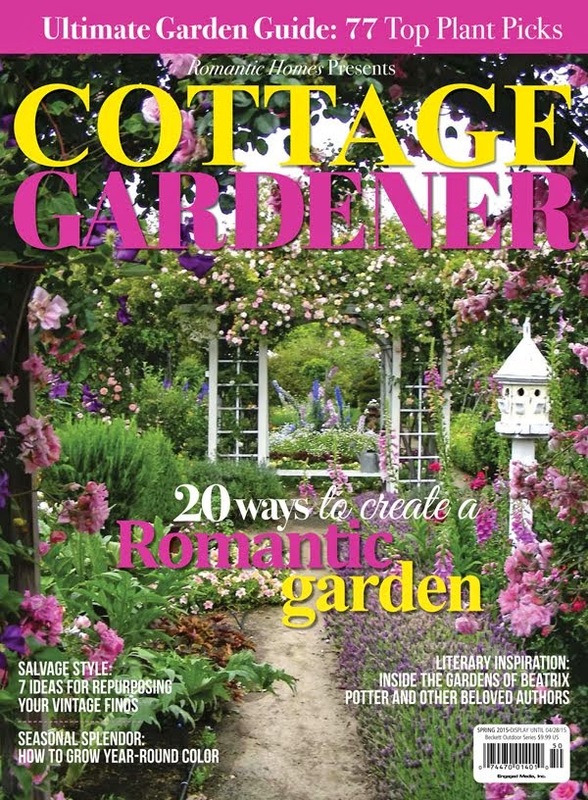 Your flowers will be the center of attention and should be visually attractive. 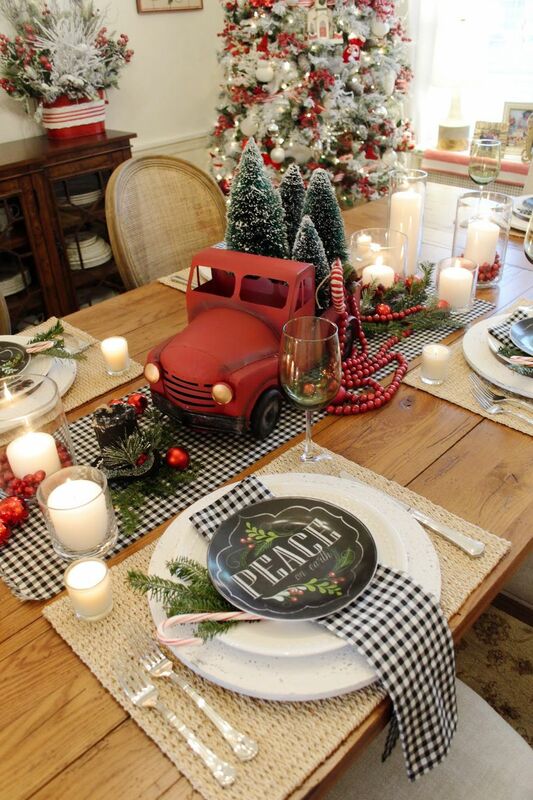 It should also tie-together the theme of your table. 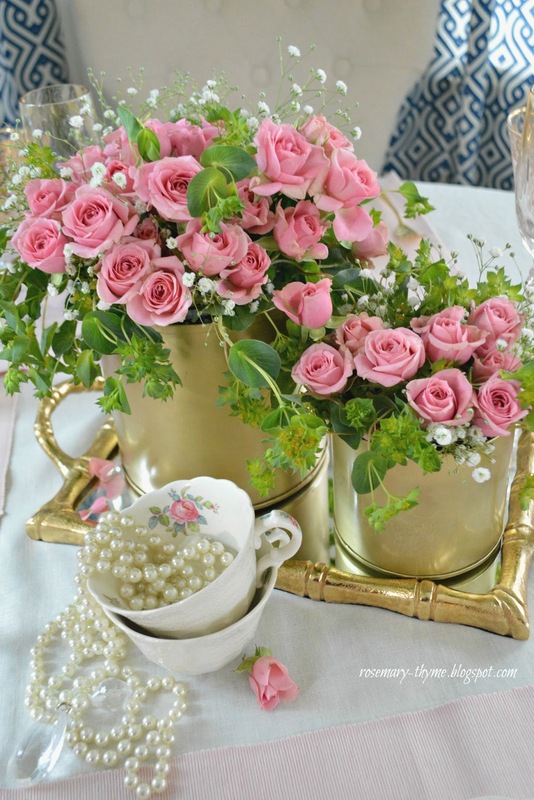 Roses and greenery placed in modern gold vases give this centerpiece a modern vibe while a couple of vintage tea cups add a bit of surprise and whimsy. And you know I had to add my signature pearls!!! I hope I have inspired you to create your own pretty table this Valentine's Day. What a romantic table setting. You've managed a gorgeous and highly suggestive meal arrangement. Everything is great and flowers are also ... magical. I very much admire the idea of friendship and how to keep such a treasure. My dear ladies ... I wish you fun ... to the fullest! Oh my!Absolutely gorgeous and adorable! What a Wonder, darling Janet, it's truly the triumph of Beauty! A beautiful table that I would love to sit down to. 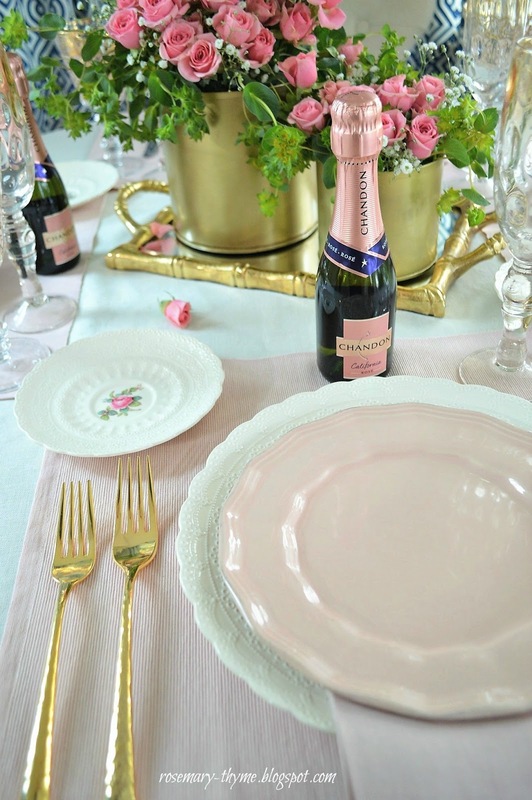 The pink and gold are perfect for a girlfriend's luncheon. Janet, your table is lovely! I know your girlfriend's will enjoy having lunch at this beautiful table. Happy Valentine's! 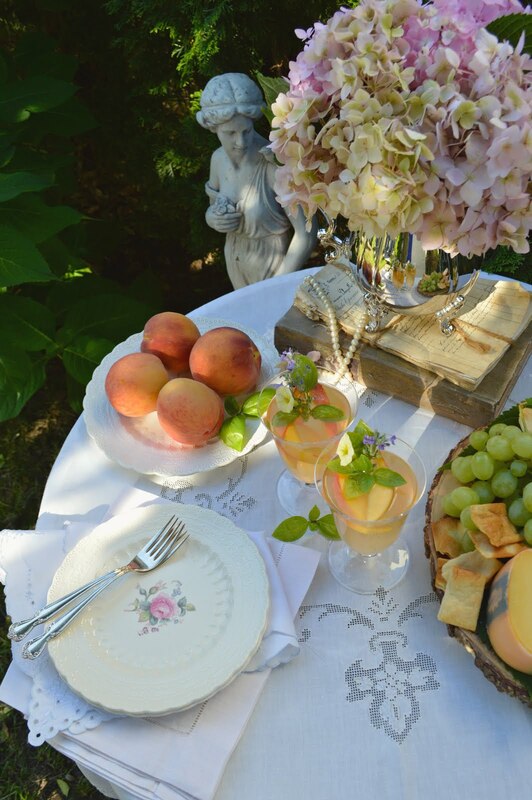 A very pretty and romantic table setting! 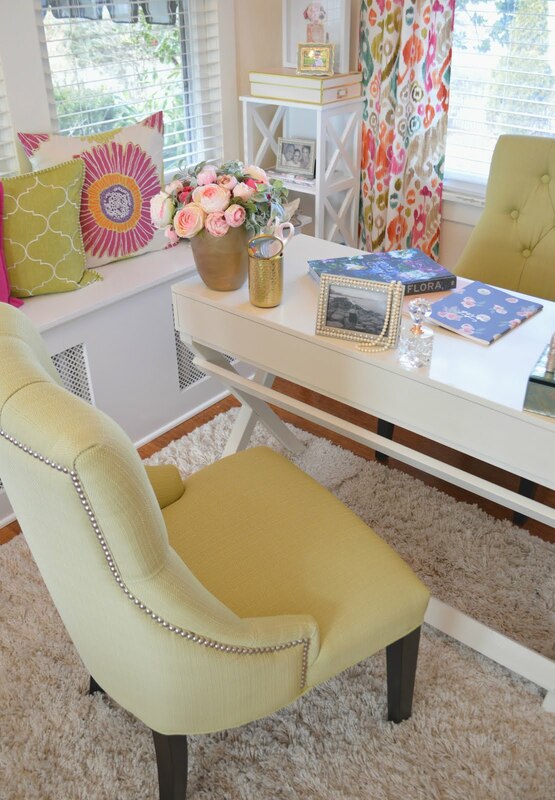 Love the use of the blush pink- I really favor that color. 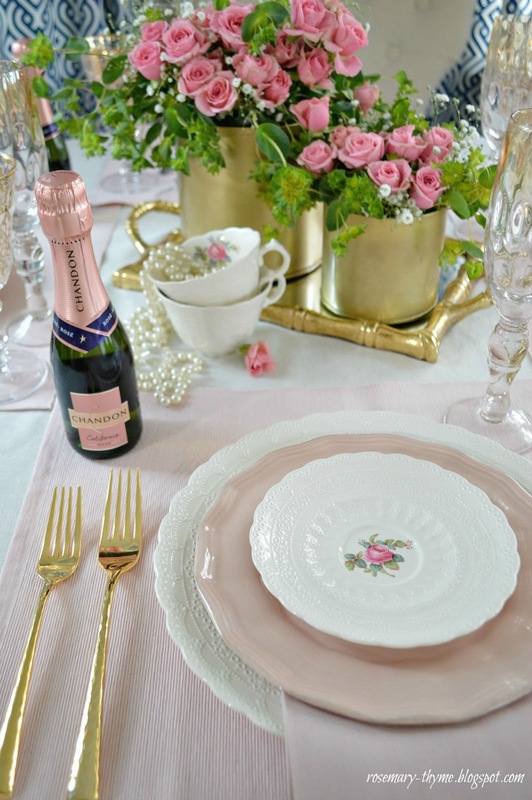 Your miniature rose centerpiece is perfect and I especially love the pretty gold accented stemware. I love the mix of crystal, gold and pink. 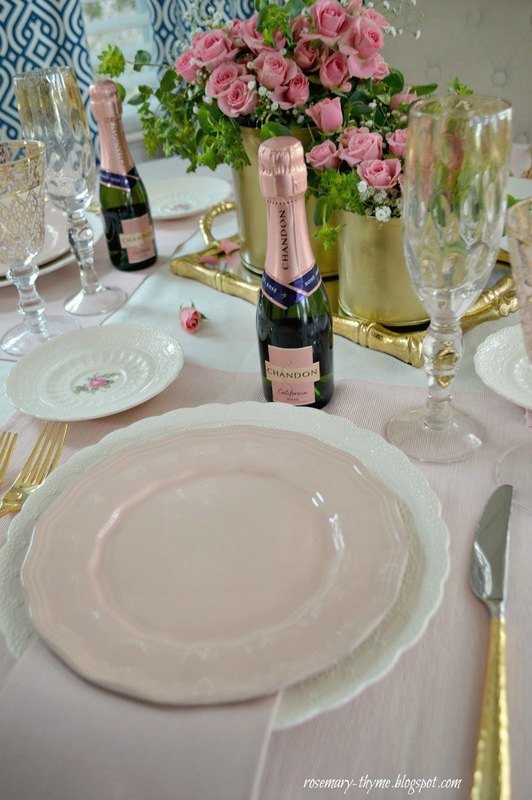 I used the same pink Chandon pink bubbly too! I don’t think I had ever seen the Billingsley Rose pattern, and now I’m in love! 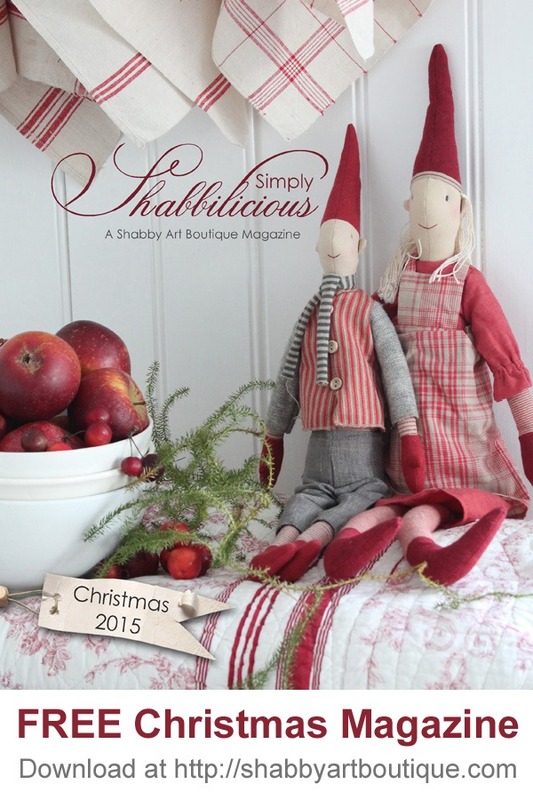 It has such a delicate, lacy border, I can see it going well with many other pieces. Your table is absolutely beautiful! 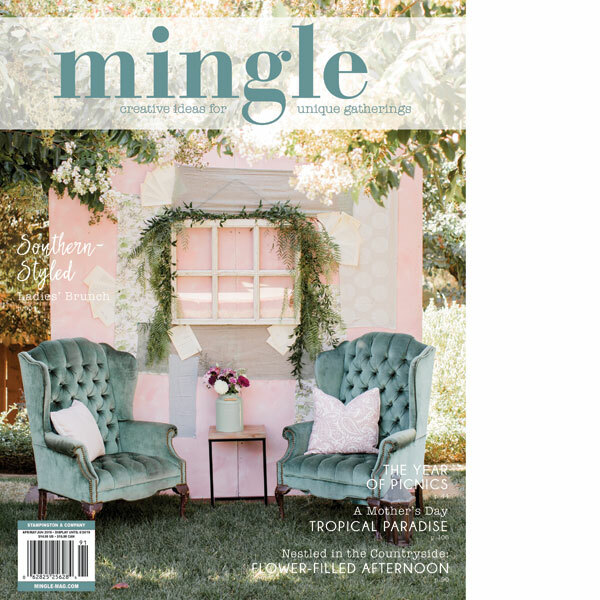 What a wonderful way to host your friends. They are very lucky! 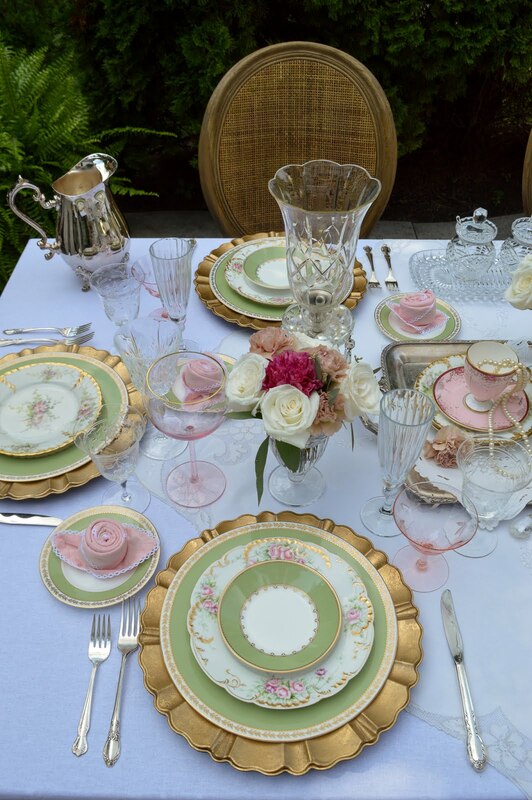 Beautiful tablescape, love the china, thank you for always inspiring us! Perfect, perfect, perfect!!!!!! Pink is my favorite color, and on Valentine’s Day it is just that much more special! You did such a nice job with using the color without drowning the table in it. 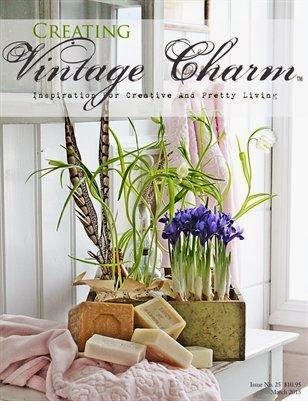 (Makes me think of “Steel Magnolias”!) I, too, am a big fan of the personal sized bottles of wine or champagne. It just looks so cool and keeps the bubbles contained until it’s time to toast. Lovely! sharing at Home Sweet Home! Absolutely gorgeous! 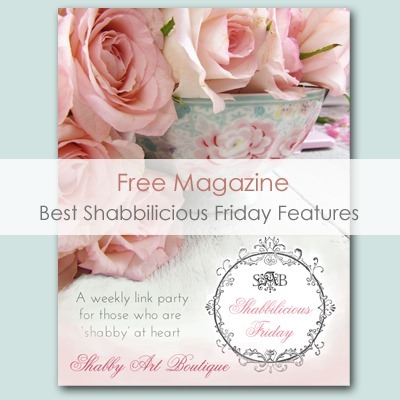 I love blush pink and gold together. Those flowers are fabulous! Thanks for sharing with SYC. 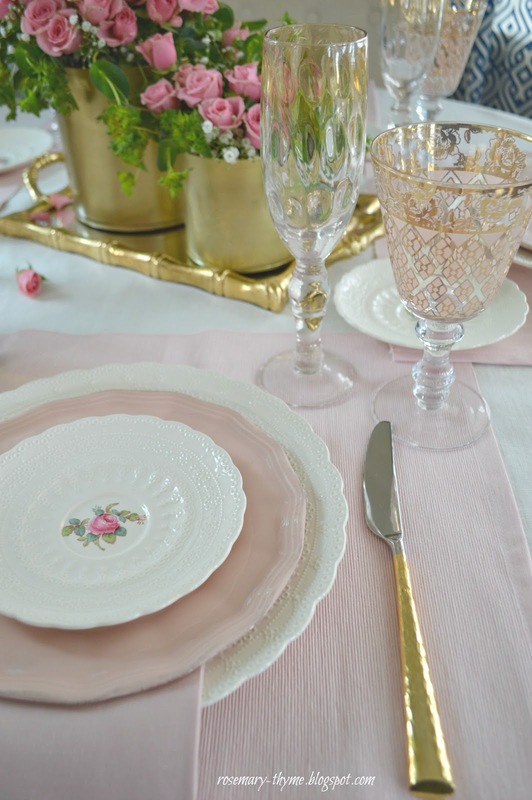 I love the blush pink and gold combination Janet and your tablescape is beautiful, as always.